Richard Clark is a nationally certified piano instructor and noted author of two books about local landmark phenomenon. 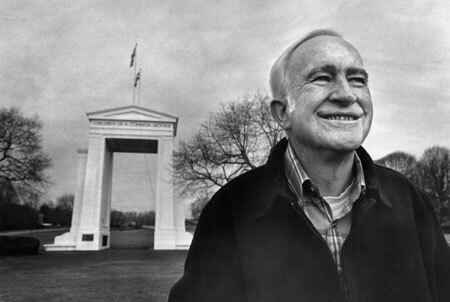 He has become the unofficial guardian and uncompromising chronicler of The Peace Arch. Similarly, he is the historical documentarian of Point Roberts, a detached piece of America that is land locked inside adjacent Canada. Richard views world peace as our greatest challenge and he's particularly proud to have narrated the story behind Blaine's internationally recognized monument to harmony and dignity for everyone. Richard is from Native American, Dutch and English heritages and has studied at six universities. The religiously minded Richard Clark served as an Anglican priest in Canada for a nine years. Most recently, he was honored with The Lifetime Achievement Award by the Record-Journal in Ferndale. At times bashful and at others boastful, this mostly modest, teacher, author and priest reflects the goodwill and humanity in all of us.